One fine morning all of sudden I got a doubt, what if I lost McAfee ePO admin password and there were no additional accounts configured. I opened my laptop and started Googling for the solution. There were more blogs describing this issue, but none had a satisfied solution. After a rigorous search on the Internet, I found two good and easy solutions. We believe that only one account, i.e. 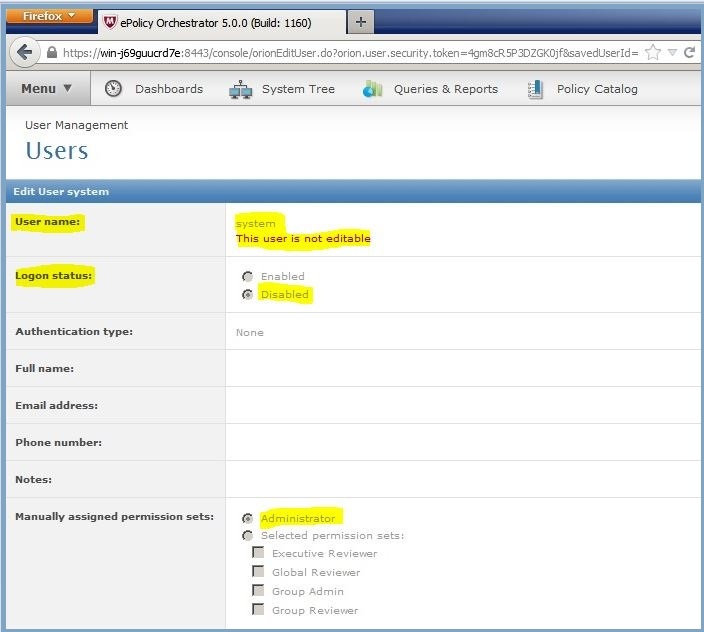 Admin account, is configured in McAfee ePO. But by default one more account exists in the McAfee ePO User Management, named system. This account is disabled by default. User ‘system’ account has administrative rights (see the Image-1). We have to enable the user ‘system’ through MS SQL. Log off and Login with Admin credentials. That’s it. 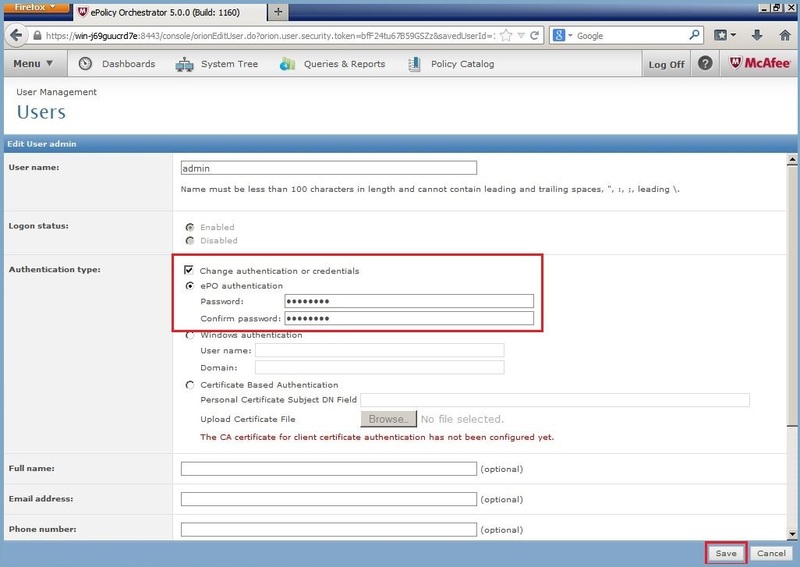 In solution 1, enabling of the user ‘system’ account through MS SQL resets Admin the Password. 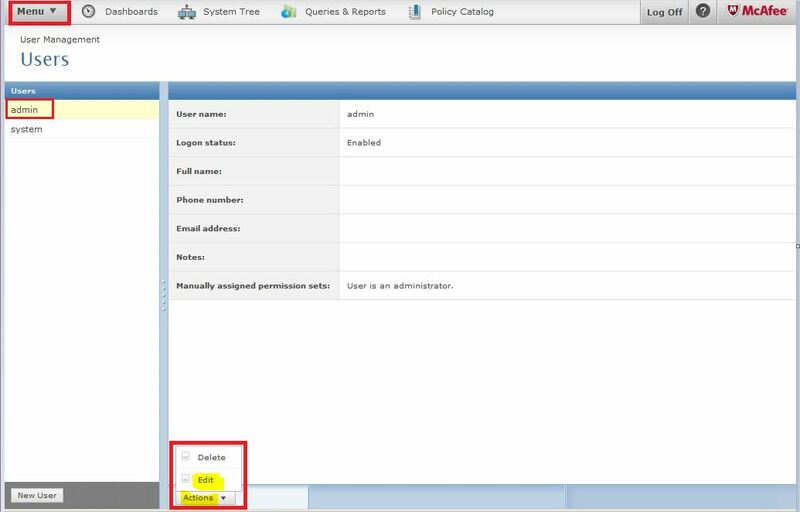 In Solution -2, we will create a new account with Administrative rights using MS SQL and through new account will reset the Admin password. Great! Big thanks, Sollution2 = works! Unfortunately, neither of these solutions worked for my EPO 4.5 installation. Still can’t log in. 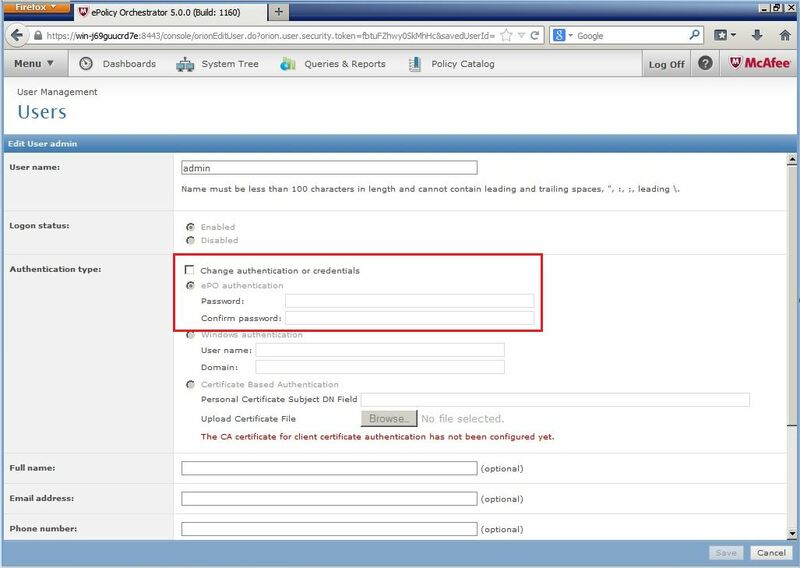 I know this is old, but I have my epo server set to only allow PKI certificate logons, so I cannot just reset a password. Do you know how to turn this off through the SQL database? in the 5.3.2 doesn’s appear dbo.orionusers just dbo.orionusersMT and it doesn´t shows the users like in the picture.